- NO MATTER THE SURF CONDITIONS! You can adapt and experiment with different levels of flex to get the most out of the conditions and customize your setup for the way you like to surf. The flex or stiffness of your fins has a huge impact on how your surfboard handles in the water. They provide acceleration, direction and power in and out of turns. With FLUXFINS you can setup your fins to suit any surf conditions – left-handers, right-handers, small, big, mushy or sucky waves. And you can do this on-the-go with one set of fins! Get your set today for $99 plus Free shipping Australia wide. 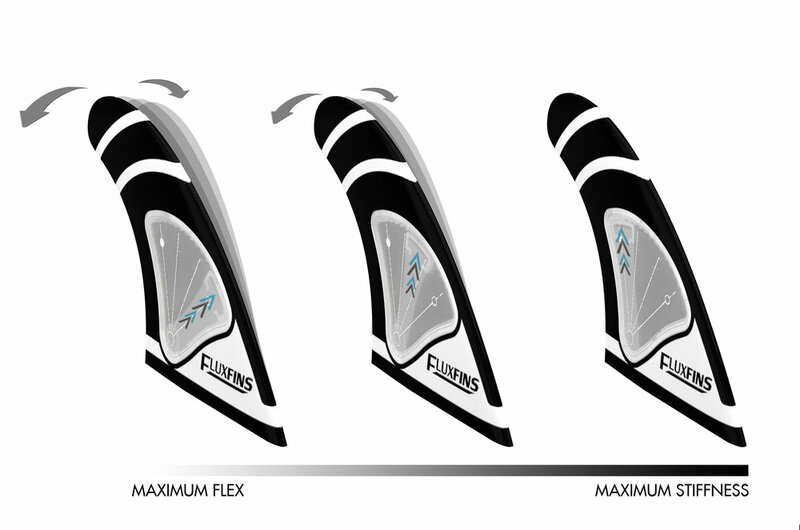 With FluxFins you can adapt and experiment with many different levels of flex to get the most out of the conditions and customise your setup for the way you like to surf. By altering the angle of the lever you adjust the flexibility of the fin. You can even adjust just one fin at a time (eg: for a left-hander).